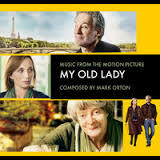 In the movie My Old Lady Kevin Kline and Kristin Scott Thomas play unloved children who grow up to be unlovable adults. The premise of the movie is ripe for a romantic comedy: a 57 year old American man who is down on his luck inherits a beautiful apartment in the center of Paris but the apartment comes with an old lady (Maggie Smith) who may legally occupy the residency until she dies. Unfortunately the story is weighed down by a seriousness that is just uninteresting. Even Paris manages to look drab. The acting is excellent I just wished the story was a little lighter. This entry was posted on March 24, 2015 at 2:14 pm and is filed under DVD Advisory. You can follow any responses to this entry through the RSS 2.0 feed. You can leave a response, or trackback from your own site.